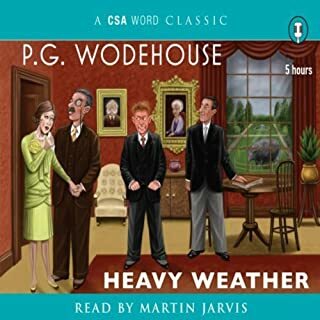 ©2014 P. G. Wodehouse (P)2014 Audible, Inc. If you want a bit of fun, this book is for you. The narrator is perfect for the story. I enjoyed this book immensely. It has all the elements that you would expect of a P.G. Wodehouse story. If you like this sort of comedy, you won't regret listening to this. Jonathan Cecil really reflects the class and era of the story's setting. Utterly charming and delightful in every way. I loved it. Loved it! Absolutely loved it!! Excellent narration. Perfect for the story and it's characters. One of the sweeter Wodehousian stories, wherein everyone is paired off with beautiful ease. Excellent narrator. I'm off to add all to my wish list! I bought the Frederick Davidson version of this first and thought it was terrible; then I listened to this version and realized what a tremendous difference a good narrator can make. 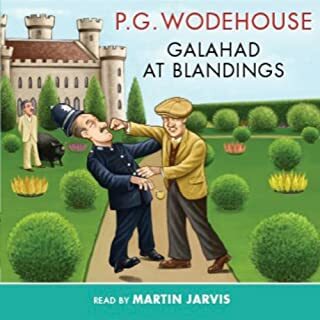 This is a great Blandings Castle story - the first one in the Blandings series, I think - and has great sub-plots and some truly hilarious lines. And Jonathan Cecil - as usual - does a terrific job of reading it. 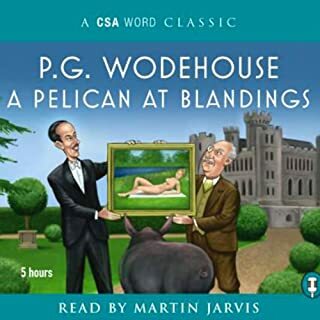 Makes me wish that Audible would hurry up and get some of the Blandings series dramatizations, actually (Jonathan Cecil appears in the Jeeves dramatizations, incidentally - he's clearly got a good grasp of the tone of Wodehouse material). this is one of the master humourist's lesser offerings. it sounds a little stale for those who are avid fans. for first meeters with pg wodehouses, it gives a great introdcution. 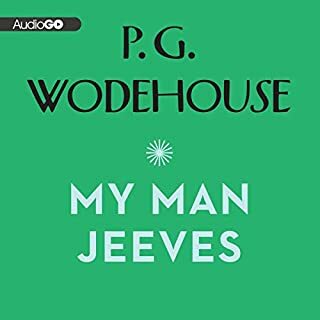 I am a huge fan of P G Wodehouse, and thought that I had devoured all of his books which were available in audio format. However, when I came across this one I realised that I had missed the jewel of the collection. 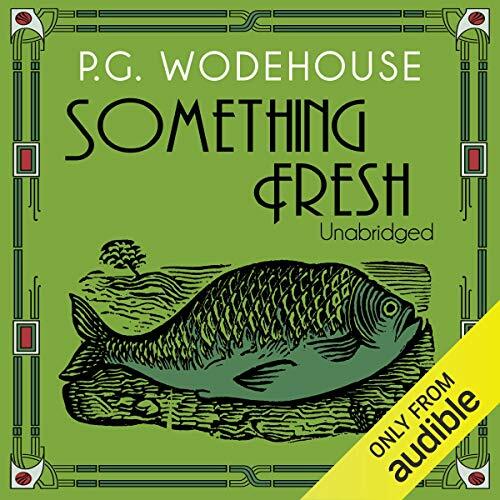 Something Fresh is, in my opinion, Wodehouse's most enchanting book. The name really says it all; listen and be delighted! Thoroughly enjoyed this book. 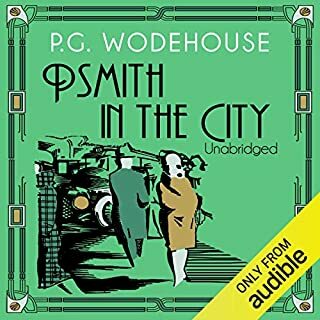 I've listened to quite a few of PG Wodehouse's books and enjoyed them all but there was something about this one, the story wasn't quite so fantastical or convoluted, that really made it stand out for me. Can't beat it for a bit of a lighthearted frivolous read! A classic, very well narrated. All of the characters feel alive and have a voice which adds to their depth and nature. The theft.The plot to retake said prize.The finale.A refreshing novel with stout feminine themes.A happy ending for all parties. P.G. Wodehouse , enough said . 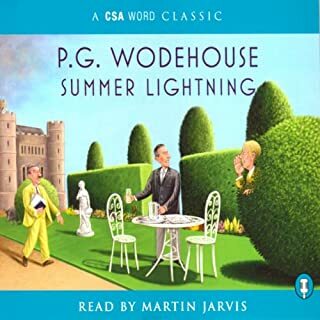 In Wodehouse it is perpetual summer. And so listening to him wonderfully narrated in the best English summer for 40 years adds a layer of perfection that feels impossible! funny tale of an age gone by. Very funny story involving a lot of dramatic irony. The hon. Freddy and the Earl of Emsworth are two of literature's funniest characters. This is not a book that will teach you the meaning of life or is of any great literary significance however it will make you laugh at times and generally smile all the way to the end. Very well read if a slightly strange American accent at time. This was the downside for me. Had it been a different narrator I would have been more likely to award this another two stars. If anyone had been sat opposite the barrator during this recording they would have received the weather and the news, if you take my meaning. A pleasurable listen, an easy to follow blast from the "old English" past. Imagine a snowball cascading down a slope of snow. As it continues, it's gets bigger and bigger. Calamity is drawing nearer, and the consequences get worse. This is PG Wodehouse. And this is this story plot to a T.
It's the kind of story that has drama at every turn, and the plot just thickens. The characters are perfect, and the atmosphere is accurate. And just a like a snowball, the plot just gets bigger and bigger, calamity draws nearer, and the consequences get worse. And the ending? Well that's a perfect authors twist.